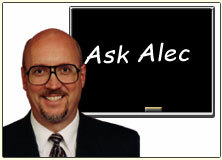 Submit a question or comment to Alec by filling out the short form below. Press "Send" when you have completed. Fields marked with (*) must be filled.